Jingle bells, batman smells…Hopefully we have grown up a bit since that charming song, but with growing up comes responsibility, and responsibility is expensive – especially when it means spending your own hard-earned cash on others! This guide is to help you survive Christmas shopping with some money to spare for that road trip with your mates. -Buy your gifts from op-shops! You can find quirky gifts (think vintage mugs for that hard to buy for friend) at bargain prices and your money is going to a good cause. -Utilise the value of Trademe! Not only can you fundraise for your New Years’ festival or splurge gift by selling your old stuff, you can also find pre-loved gifts from popular brands at far more affordable prices. -Instead of sending Christmas cards by snail mail, send e-cards online via email. Although it’s not such a novelty this way, some of the e-cards are such a laugh it makes up for how easy it is. -Scratch the stress and expense of buying everyone in your flat or group of friends a gift, and suggest a Secret Santa system. This way you only need to buy one gift, making it cheaper for everyone and easier to focus efforts for the one person you get. -Make gifts yourself! Use your skills for gardening and make a herb garden, find some funky recipes for home-made body scrubs and candles, or sew some cute pillows! -Bake up a storm and give your treats instead of paying for gifts. Great idea for neighbours and colleagues, and to show off your skills in the kitchen to family members. Although they are baked with love, you can spruce them up with cellophane and ribbons for a store-bought feel. 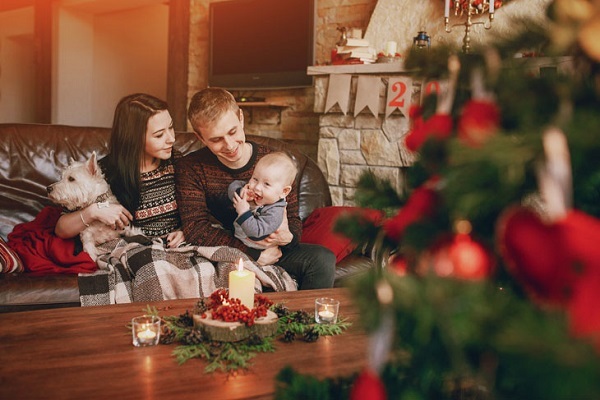 -Buy joint presents for couples and families, this way they can both make memories with your gift, and it makes it cheaper for you! -Create a photo montage with festive music of your year with a friend or family member. You can find the photos easily through Facebook and there are lots of cool apps for creating your montage. -Make your own Christmas decorations. You can find lots of great ideas online to make funky decorations that are different to everybody else’s, you can re-use and they’re bound to impress your friends. -Give vouchers for your time instead of gifts! Offer to babysit for that friend who never gets a night off, help your Nana in the garden for an afternoon, or offer an hour of car-washing for your parents. Your time is the best gift, and the majority of the time they are made with love, which will mean so much more than store-bought gifts. Even your materialistic bestie will appreciate a home-made coffee scrub, and your grandparents will adore the baking and probably tell all of their friends about it for weeks to come. Put more emphasis on the warm fuzzies you get from making someone a gift they genuinely enjoy, than how much you spent on them; giving can be just as rewarding as receiving.